When it comes to shutters, we can all agree that no one does it better than Norman®. They have been at the forefront of the industry when it comes to manufacturing shutters and blinds. That is why here, at Creative Window Coverings, Inc. we decided to carry all Norman® products. We believe in providing the very best products to our clients, and since we have complete faith in Norman® and their safety standards, it was a no brainer for us. You can check out our complete collection of Norman® Safety shutters, which are designed to perfection, and ensure complete protection. We want to provide all our clients in Southern California and surrounding areas with the very best shutters in the industry. The competitive prices and superior quality for all our products sets us apart from the rest. 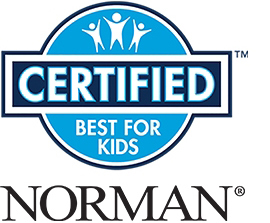 One of the main reasons why we chose to work with Norman® is because they are an active participant in the WCMA ‘Best for Kids’ certification program. This means that all Norman® shades, blinds, and shutters that come with the ‘Best for Kids’ designation have undergone strenuous testing. They are free from all hazards because as they have inner cords or pull cords. Part of what makes our Norman® Safety shutters so good is that they are completely kid-friendly. We ensure that they are cord-free, by using inner cords, which are inaccessible. This way you can achieve peace of mind with the knowledge that your kids don’t have to face potential hazards in the home. Apart from making our shutters kid-friendly, we also ensure that the quality of our shutters never drops, which is why we are regarded as the best. Our commitment to providing homeowners in Southern California with the very best, cost-effective shutters is the reason why we are highly rated.